At well over 400 pages of text and copious footnotes , this book is a serious historical research text. I now feel I have a basic grasp of how the New Orleans pirate/privateer trade worked and who the major players involved were. 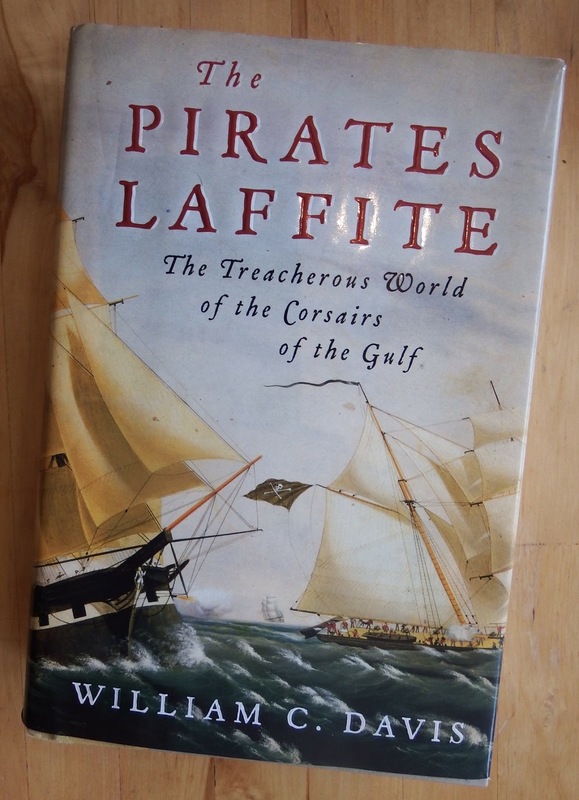 It is a relentless chronology of political, economic and military moves which involved the Laffite brothers, Pierre and Jean. It reminds me of history books written in the early 20 century, and by that I mean it’s dry reading. I’ve got to confess, I didn’t finish the book. That makes it one of less than 10 books I’ve ever started in my life that I didn’t finish. After about 1819 or so I just no longer had any interest. Even the chapter on the Battle of New Orleans (which I have a lot of interest in) had not much to keep my attention. Maybe I just expected more about speculation about what life was like among the Baratarians, or about the social life of the Laffites. Maybe Davis is just too good a historian to speculate to make a book interesting.